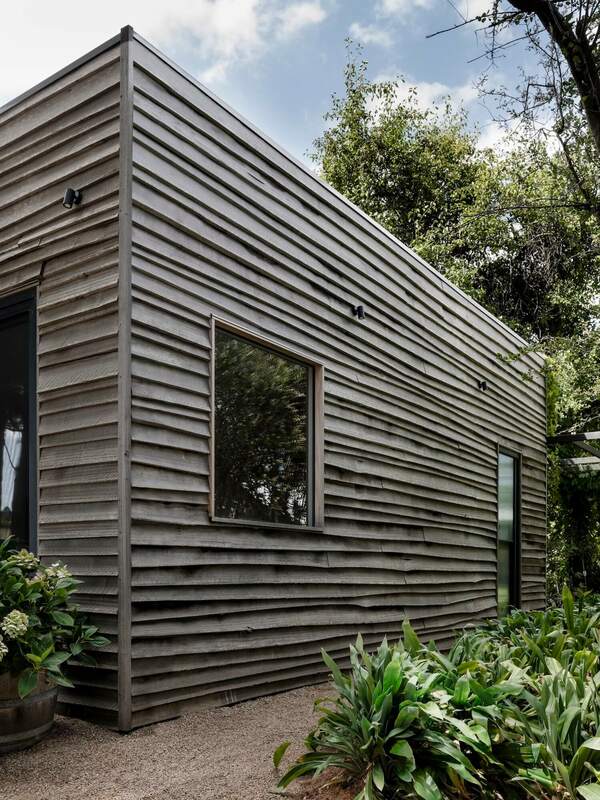 On a beloved 10-acre property near the quaint seaside village of Merricks sits this rustic, timber-clad building. 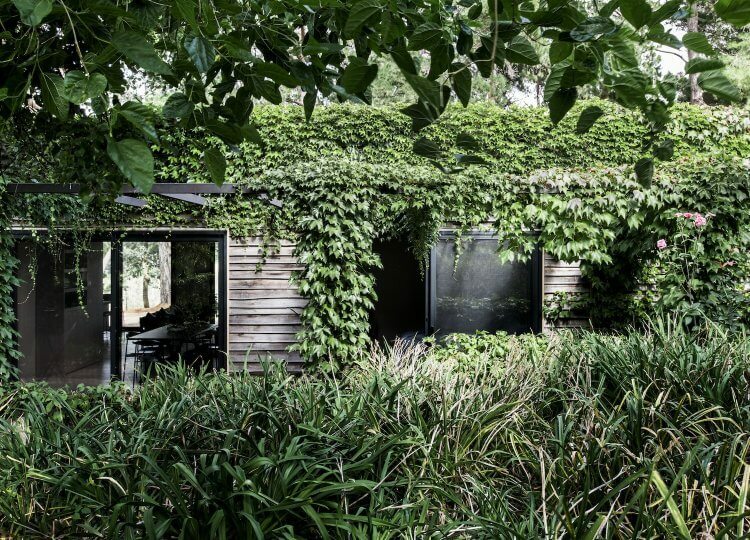 Burrowing into the lush foliage and covered in vines, it was formerly no elegant guesthouse – rather an old country outhouse until Studio Esteta intervened. 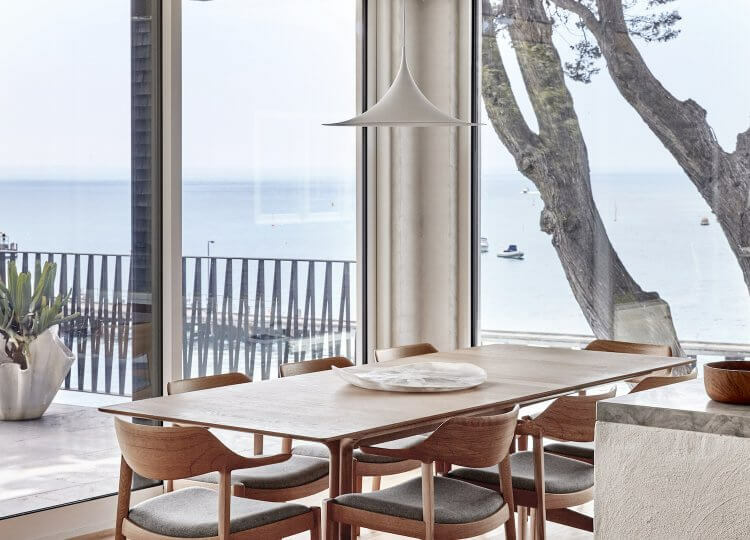 Studio Esteta have left no trace of a dowdy outhouse in their transformation but maintained the same authentic connection to beautiful surrounds. 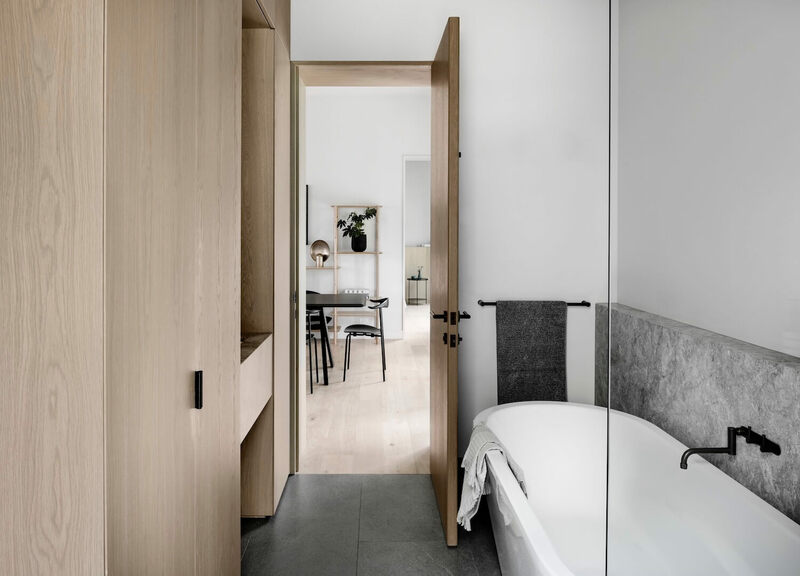 Polishing the project with their meticulously detailed and down-to-earth approach, Studio Esteta has designed high-end accommodation that we wish we could have a share in. 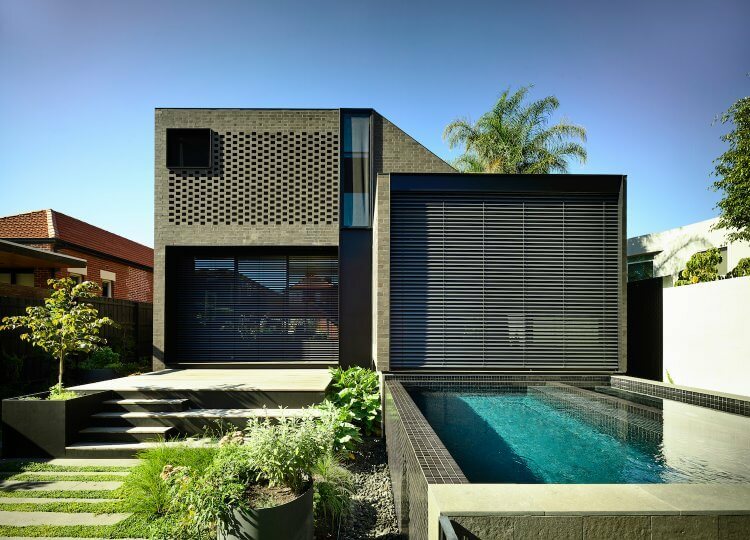 The client wanted to retain the exterior’s beautiful patina, so little interference took place, aside from the introduction of new openings to maximise light and location. 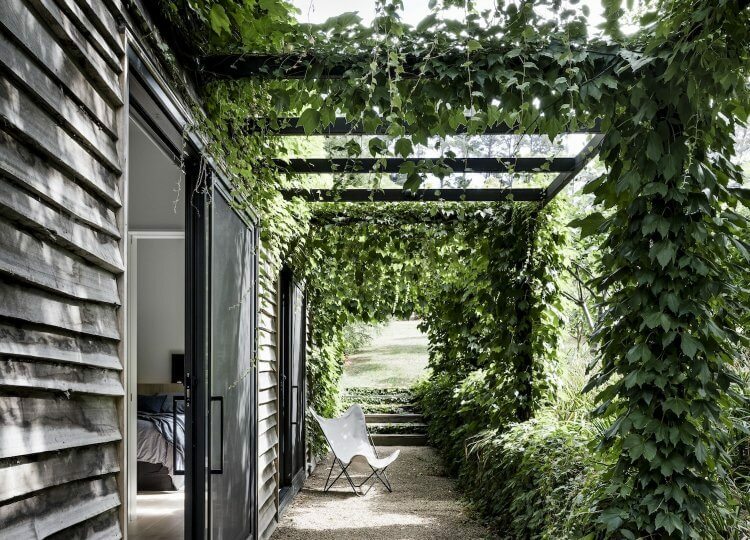 Studio Esteta ensured multiple immersive vistas, offering views of neighbouring paddocks, the main residence’s pool and the lush landscaping by Eckersley Garden Architecture. 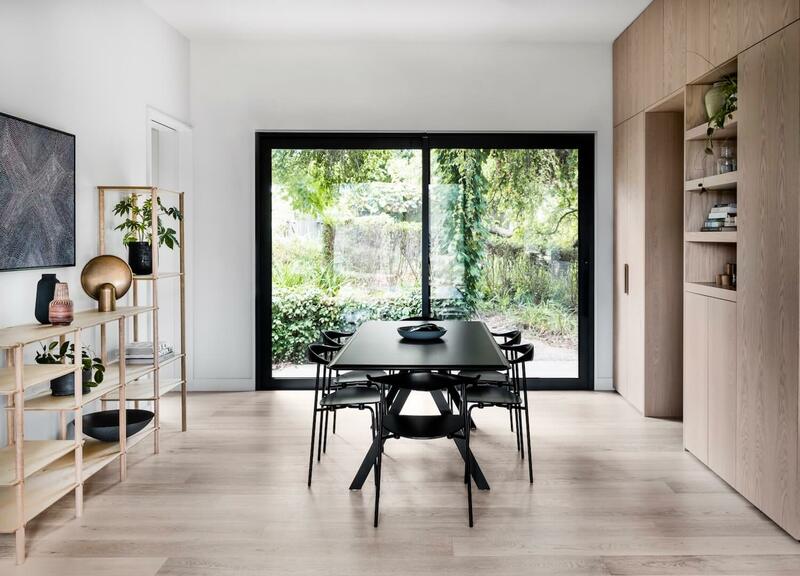 Inside, the influx of light in each area also came down to some quality spatial planning. 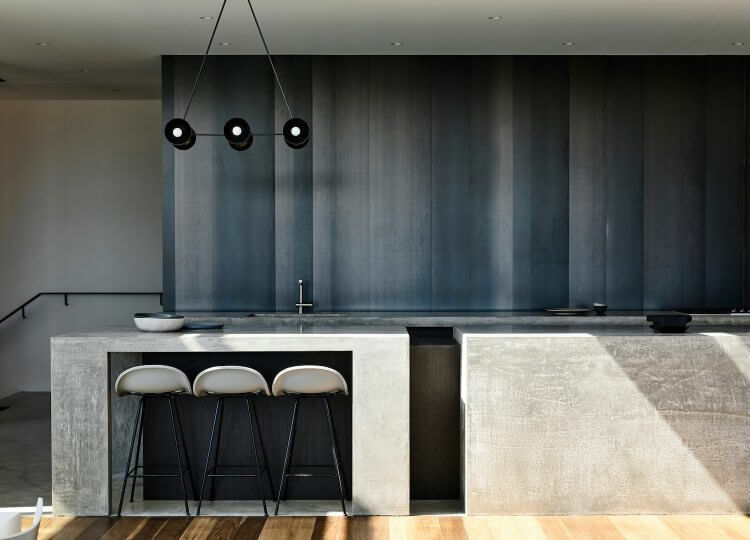 The footprint spans two bedrooms, a bathroom and a European laundry, sticking to an open plan layout for the kitchen, living and dining area. 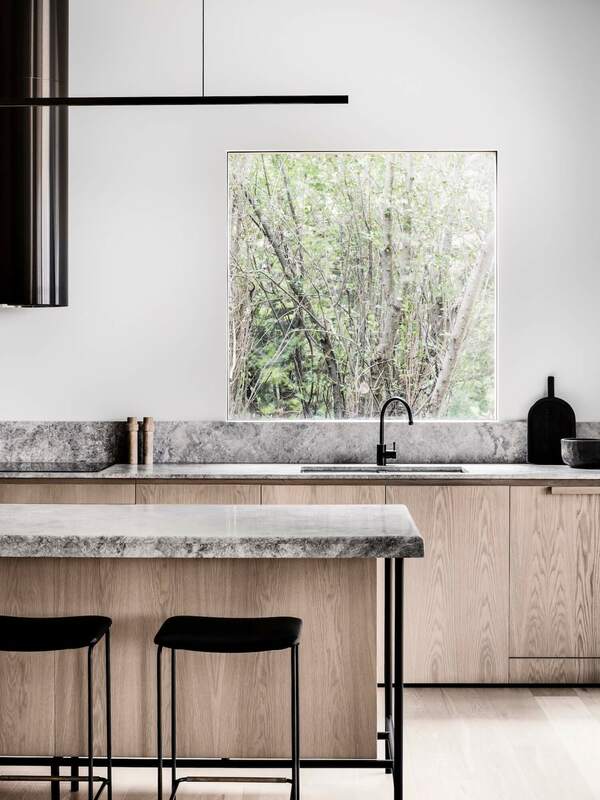 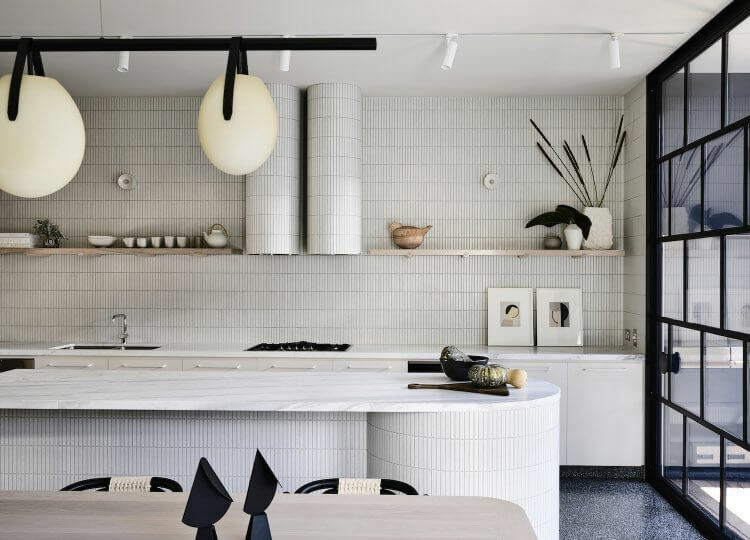 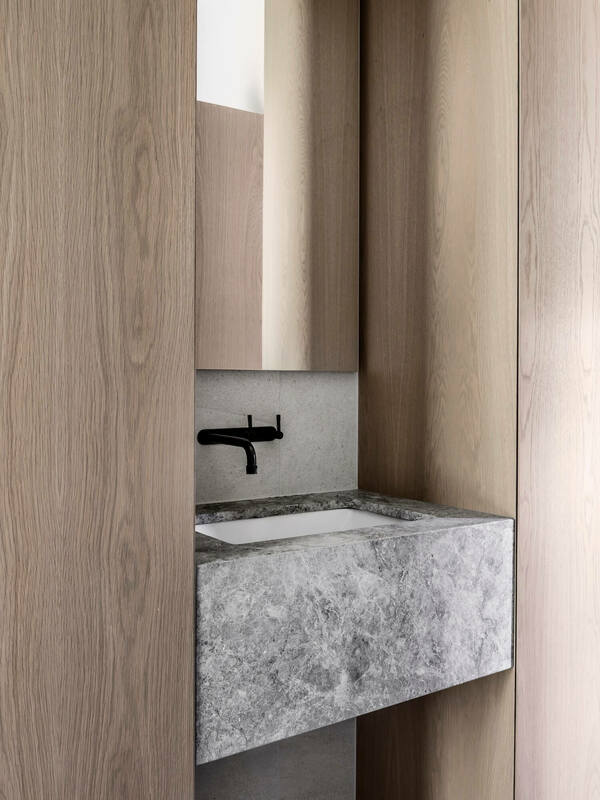 In a bid to keep the interior in tune with its exterior, Studio Esteta stuck to a natural material palette of predominantly timber and soft grey marble. 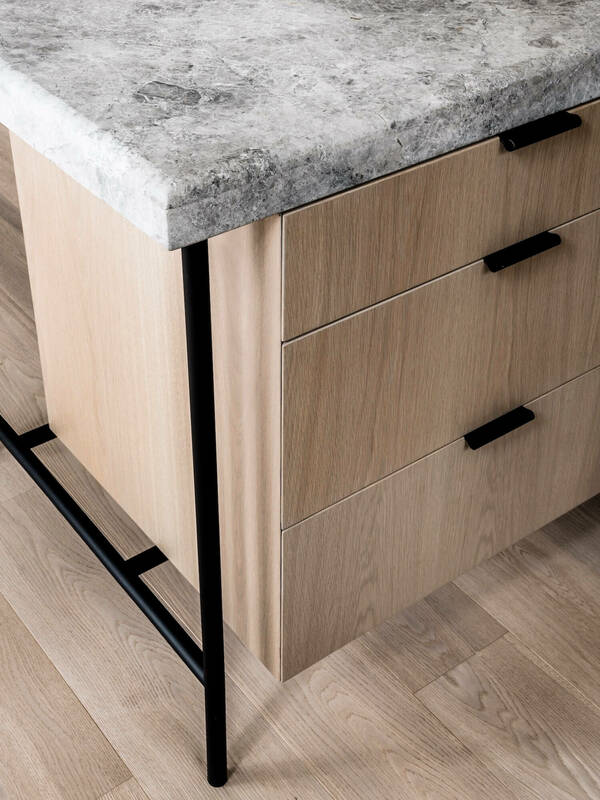 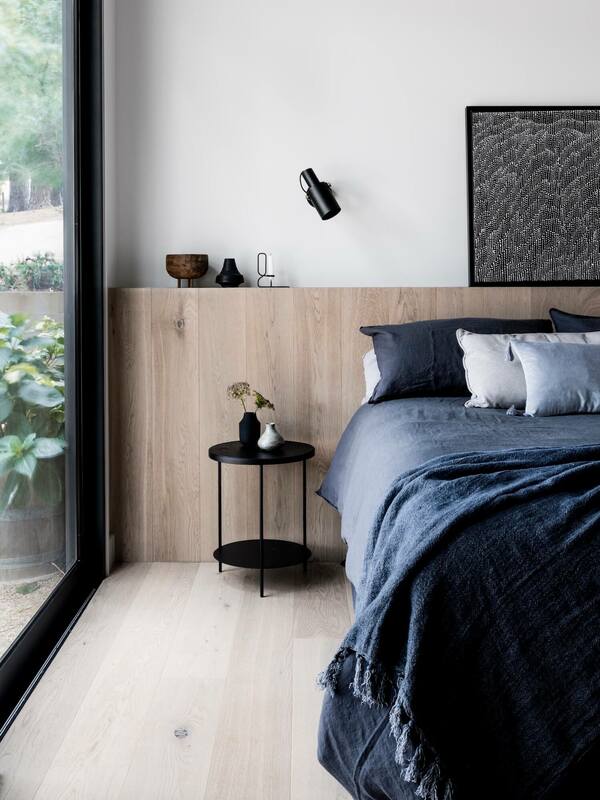 Smoked oak timber boards and veneers are layered by dark copper fixtures from Brodware and mixed with linen fabrics in the cool tones of navy and charcoal. 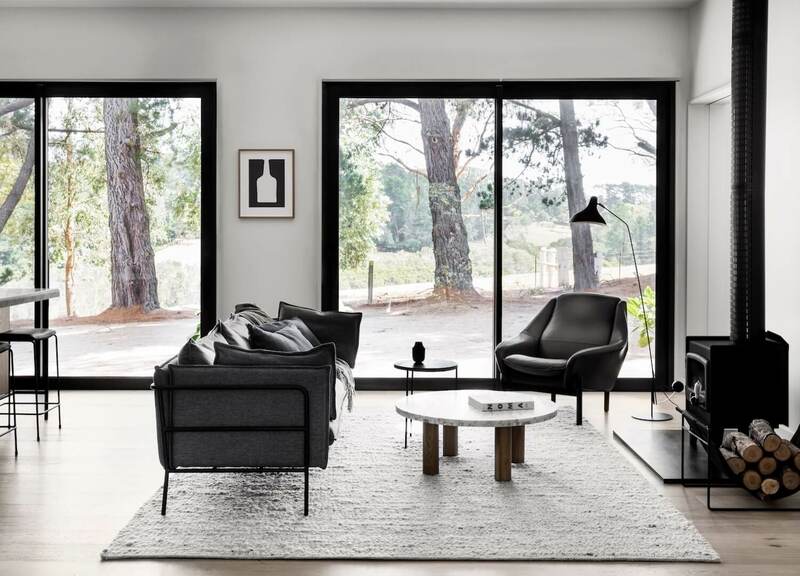 Strong black accents are also revealed throughout, in the bar stools, the Lampadiare Droit Lamp by Serge Mouille and the free-standing fireplace that makes for an extremely inviting winter stay. 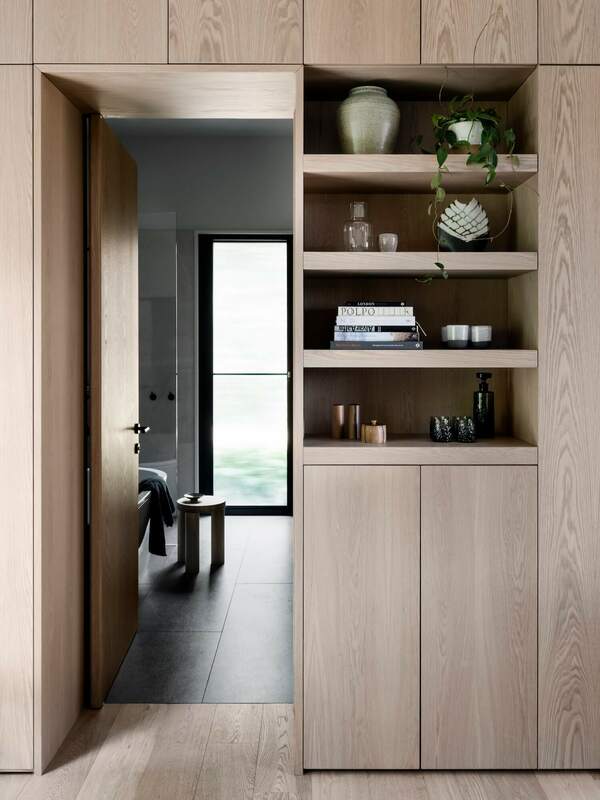 The design team at Studio Esteta is a stickler for their joinery and their Merricks Guesthouse is no exception. 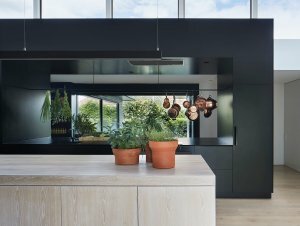 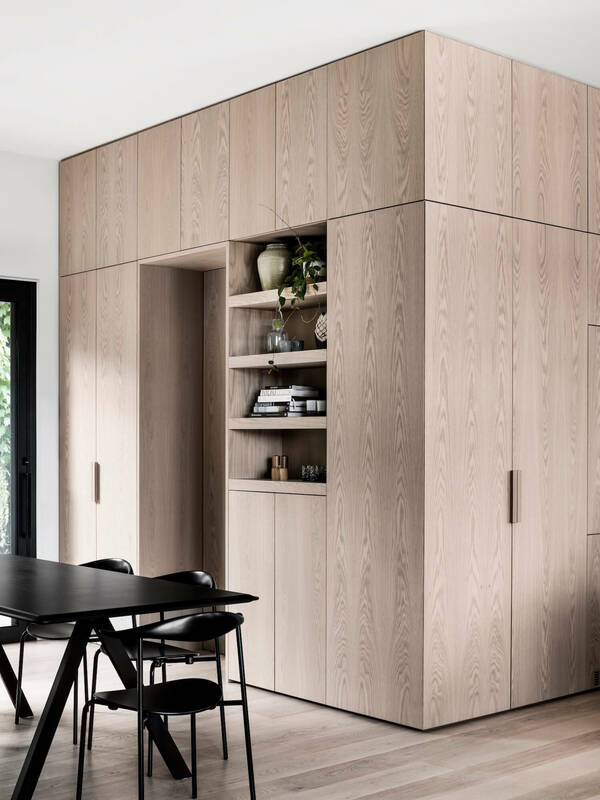 A full height, timber-lined joinery pod provides storage and warmth for the open plan living area, sewing together the kitchen space which offers the same crafted timber features. 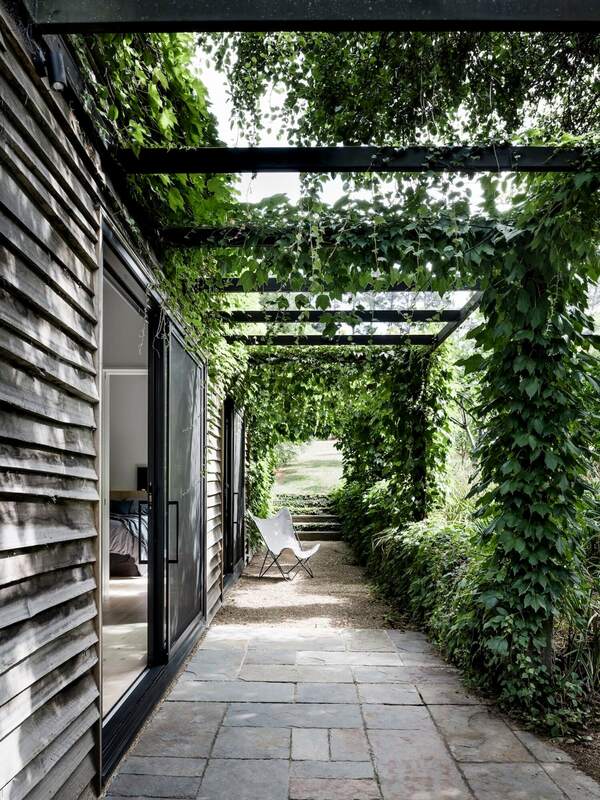 Even better, the timber joinery that backs the dining space conceals the bathroom beyond, privy to some beautiful garden views. 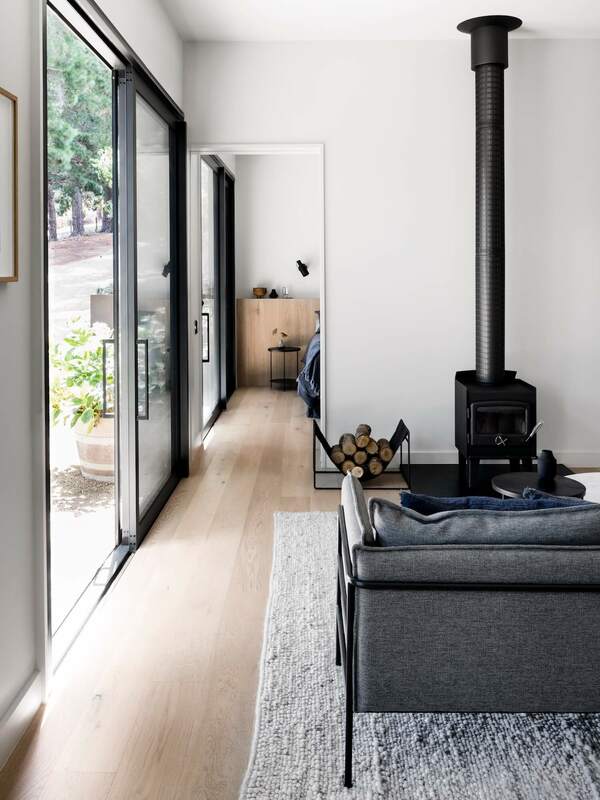 Nothing says a rejuvenating weekend away like Merricks Guesthouse. 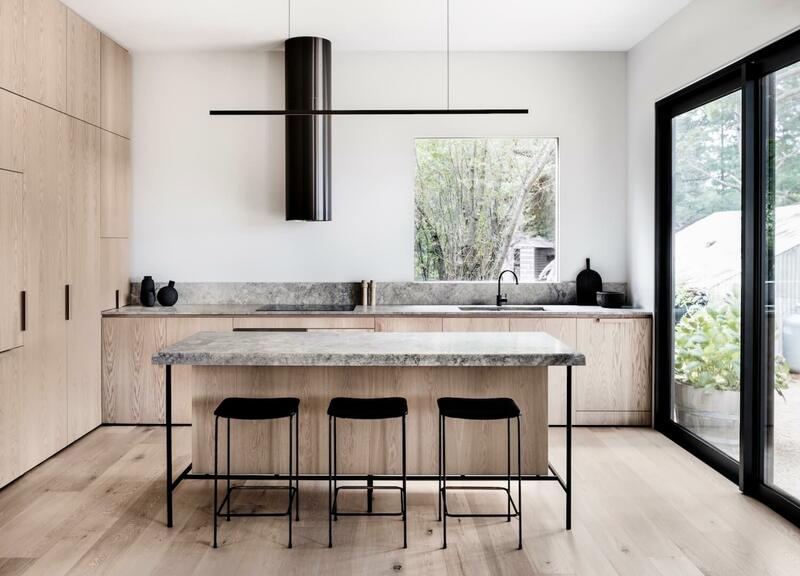 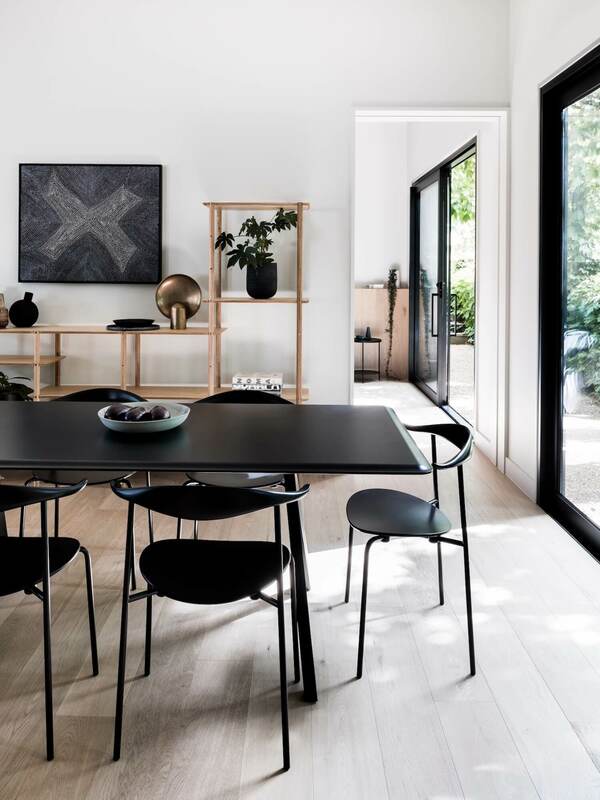 Offering easy entertaining and plenty of room to relax, its no wonder this little sanctuary landed Studio Esteta a special spot in the 2019 AIDA residential design shortlist.